A few days ago, I watched You don’t know Jack, Barry Levinson’s riveting biopic about Jack Kevorkian. “Dr. Death”, as he was often referred to in the eighties and nineties when he came to national attention and prominence, is brilliantly played by Al Pacino, in one of his best-calibrated performances, never showing you his acting. Most readers will know, but perhaps some people from outside of the US may not, that Dr. Kevorkian advocated and practiced euthanasia. Within a span of about a dozen years and until he was convicted and imprisoned, he assisted some 130 people (not all of them his own patients) in ending their lives, in the process going through a dozen trials, each time getting a not-guilty verdict by showing video recordings proving that it was the patient him/herself who (literally) pulled the plug (or released the chemical that would stop the heart). He was still not satisfied, however, and in his last case, wanting “a national debate” (as he put it), he found a case where the patient could not pull the plug himself, and so he did it for him, forcing the prosecutors to accuse him of murder. I remember the national debate, or at least the extensive media reports (including ‘60 Minutes’ and Barbara Walters) in the US in the eighties and nineties, witnessing some of it while I lived there and some of it after I left. And I remember once striking a discussion on Euthanasia and Islam with some knowledgeable friends of my father. I remember that they all rejected the whole idea of “mercy killing”, focusing on the “killing” and ignoring the “mercy” part. One of them then told me “not only is it totally haram for anyone to decide to end a life, even one’s own, at any given point in time, one must never despair that God can relieve any suffering and cure any disease…” I remember thinking “well, sorry, but as a scientist it is difficult for me to rely on miracles when I see a body disintegrating and a person suffering”, but I could not argue much. Now, for me the movie was remarkable because it very subtly allowed me to see various aspects of the issue. 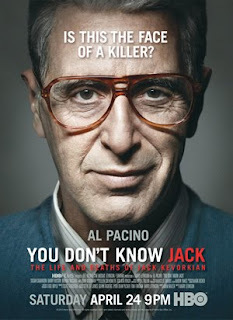 There was no question, at least in my reading of it, that the movie stands on Kevorkian’s side. It goes to great lengths to show the suffering and the desperate pleading of the patients for ending their agony. It shows various cases: terminal cancer, Lou Gehrig’s disease, multiple sclerosis, Alzheimer’s, etc. It shows us the physical and psychological pain and trauma of both the patient and their loving relatives (spouses, in particular). 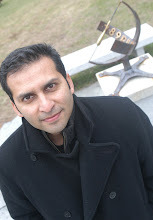 And most of all, Kevorkian, shy, never married, totally introverted, and always believing himself to be right, is very eloquent in defending his total conviction of the validity and humanness of euthanasia, essentially presenting it as a medical service and focusing solely on the suffering and mercy aspect of the issue. The movie also does not hide his atheistic standpoint and highlights the religious motivations of his detractors. In some other cases, one could see that the patient has great difficulties in living (due to Alzheimer’s or sclerosis), but one does not see the urgency of ending the life; indeed, with the (strong) pain relievers or other, stronger action, one could imagine this person’s difficult life continuing, though undoubtedly with some hardship. And when we see the sadness in the eyes of the spouse or children when the person is about to “pull the plug”, one wonders if this is really – at least in such non-extreme cases – the appropriate solution. The movie certainly forced me to think more about the pros and cons of euthanasia. I thought again about the (few) discussions I had had on the issue many years ago. I decided to go read about the Islamic views on the subject. In the second part of this piece, I will be relaying what I found of Islamic positions with regard to euthanasia, including from top scholars/authorities like Sheikh Al-Qaradawi and references like “The Islamic Code for Medical and Health Ethics”. Here I just wanted to present my reactions to the Kevorkian movie. I remain torn between, on the one hand, the extreme suffering of some patients, with the need to show compassion and mercy, sometimes requiring the ending of a life, and between the difficulties in reaching such a decision due to the spectrum of possible cases and situations, the psychological cost of the act, and the religious views (sacredness of life, in particular) that many hold and that one needs to take into consideration. Nice review; now I'll have to rent the movie. Thanks, emre, both for the feedback on my review and for the NYT article, which I've just downloaded -- looks very informative and enlightening.